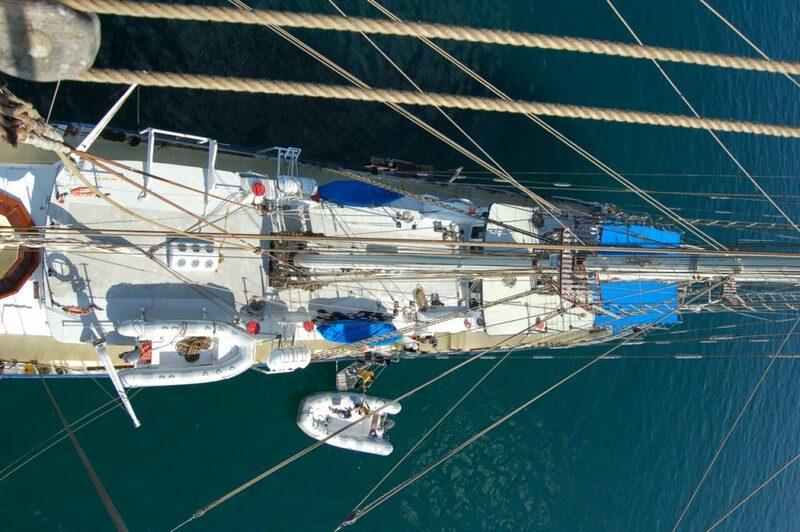 Mary Ann offers a superb & one of a kind experience sailing the ocean in elegance with her tall masts & vast sails in use whenever the wind is up. 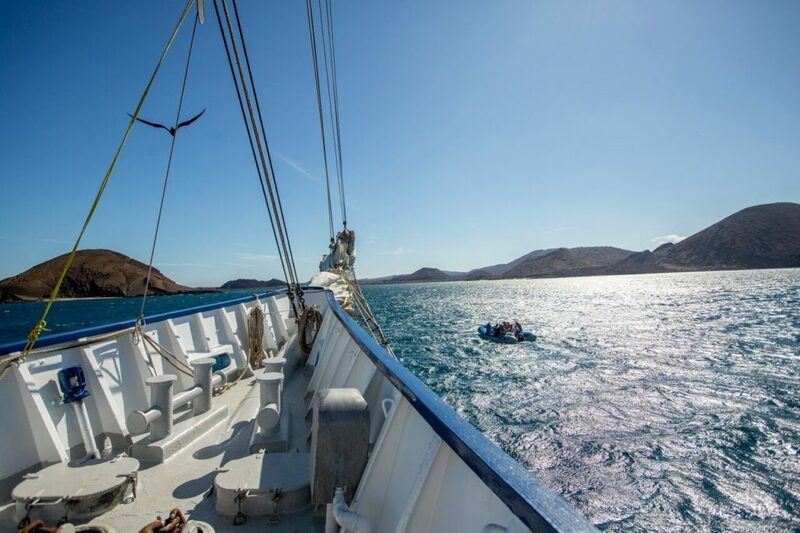 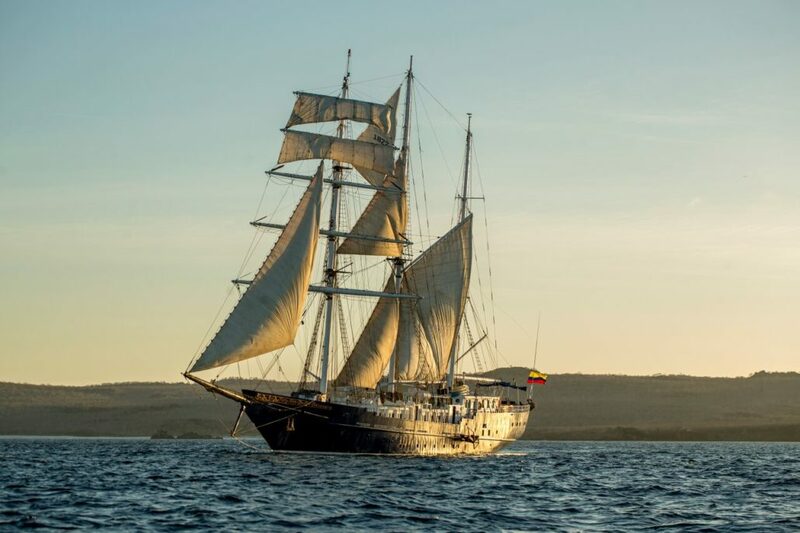 A remarkable vessel, offering a luxurious onboard space and amenities, she has large windows in most staterooms where you can take in the wonderful scenery & wildlife of the Galapagos throughout the day & gaze up at the night sky whilst drifting off to sleep. 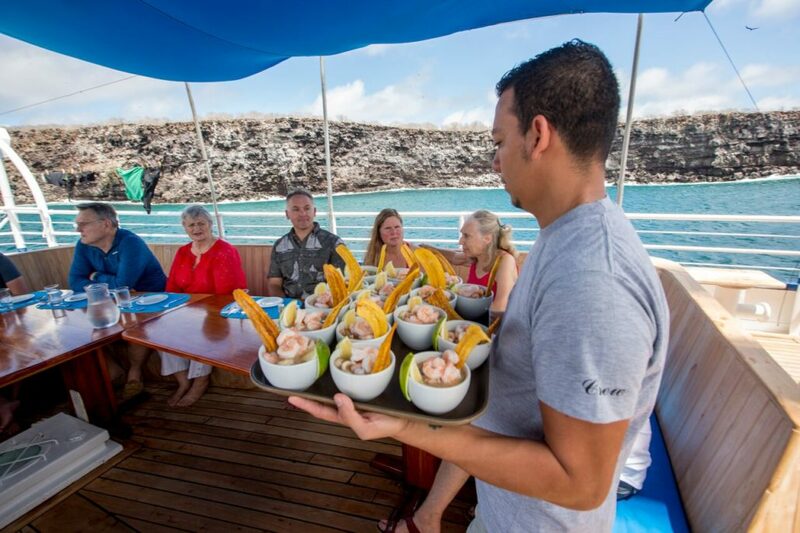 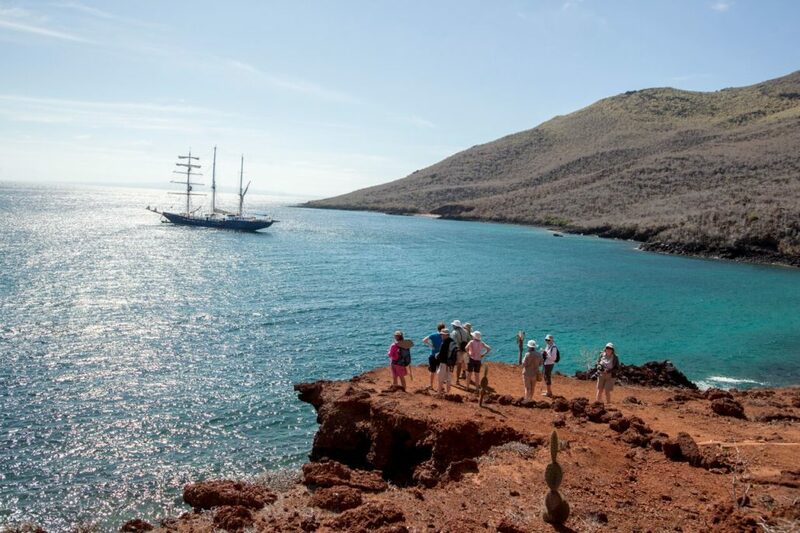 You will receive top class information & history about the Galapagos & its remarkable wildlife from the most knowledgable guides in the business. 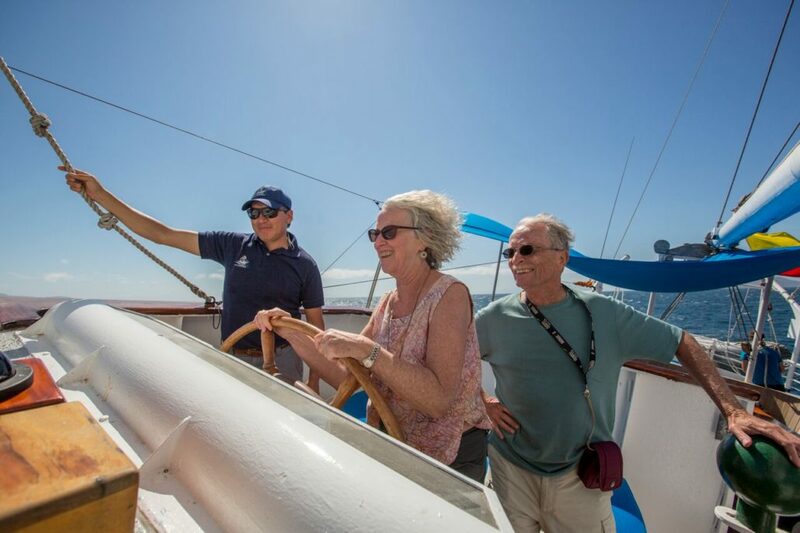 This is the ideal yacht & travel experience for those wanting to learn in-depth about the islands & take more than just a tan and beautiful memories home with them. 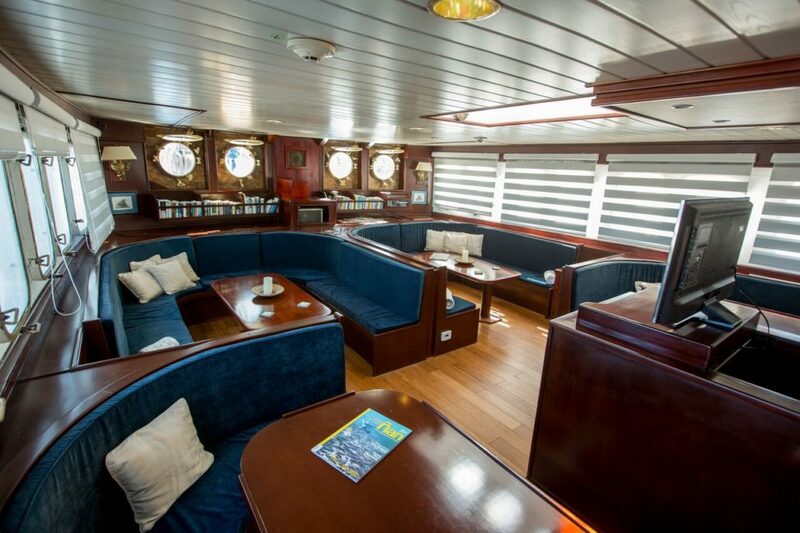 The ship boasts deck space, comfortably accommodating for large groups of 30+ but only takes a maximum of 16 passengers allowing a more personal experience. 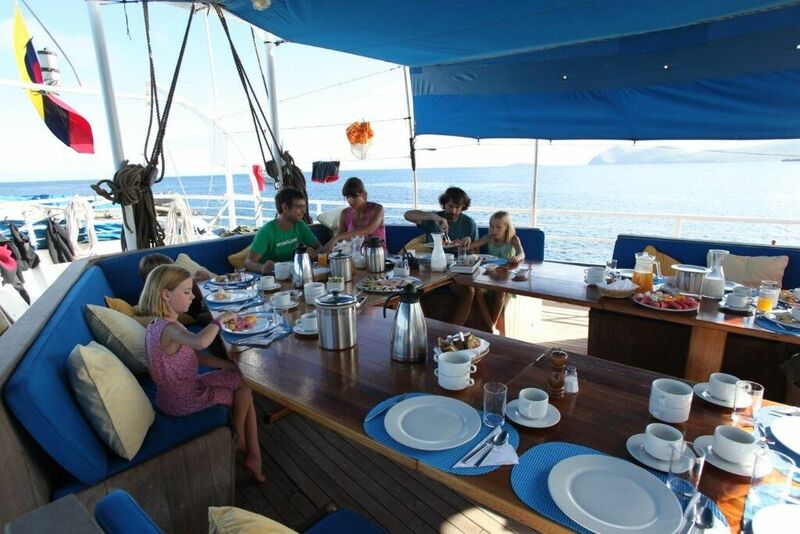 Mary Ann offers gourmet dining Alfresco or indoors, where you can socialise with other guests. 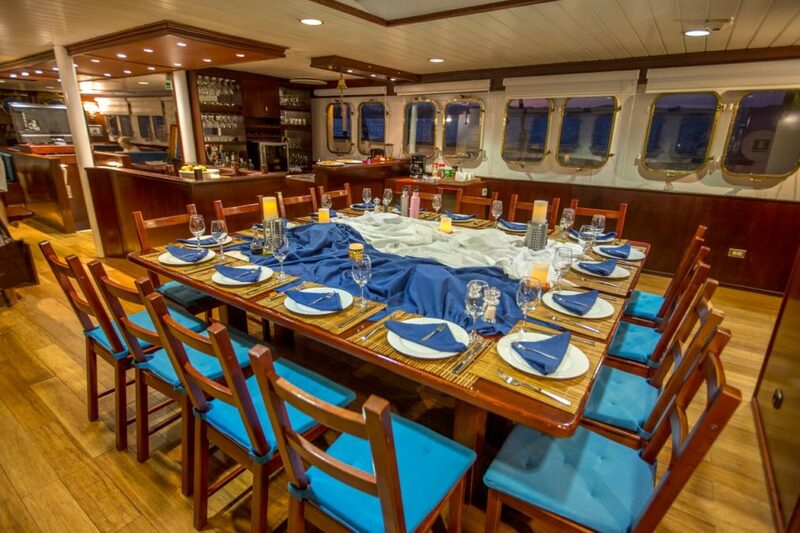 12 guest cabins with simple, tasteful decor located on the cabin deck. 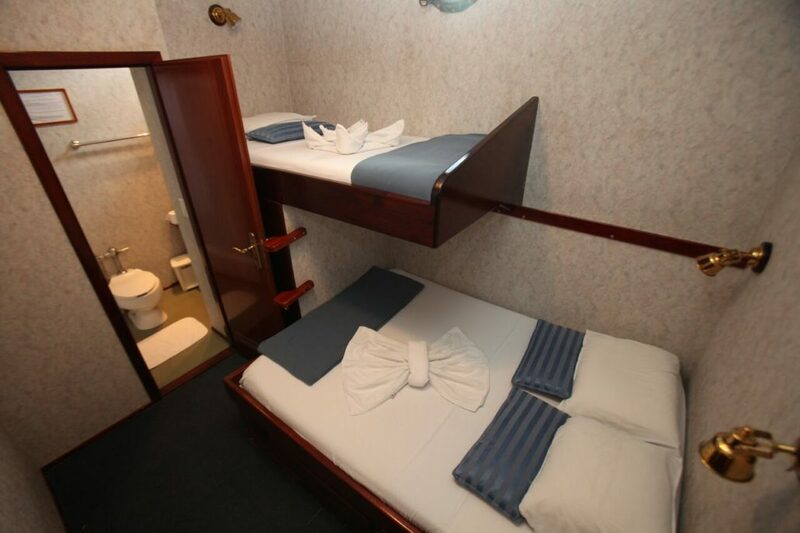 Private shower room with hot and cold running water. 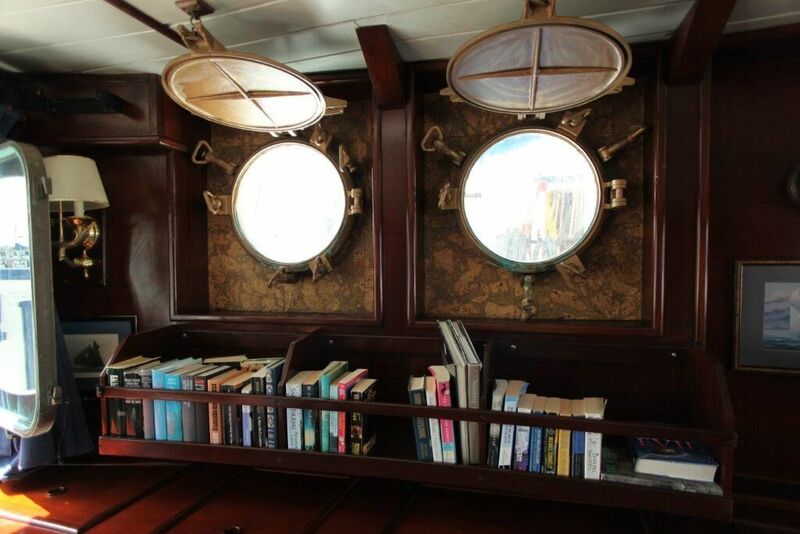 Please enquire to book specific room. 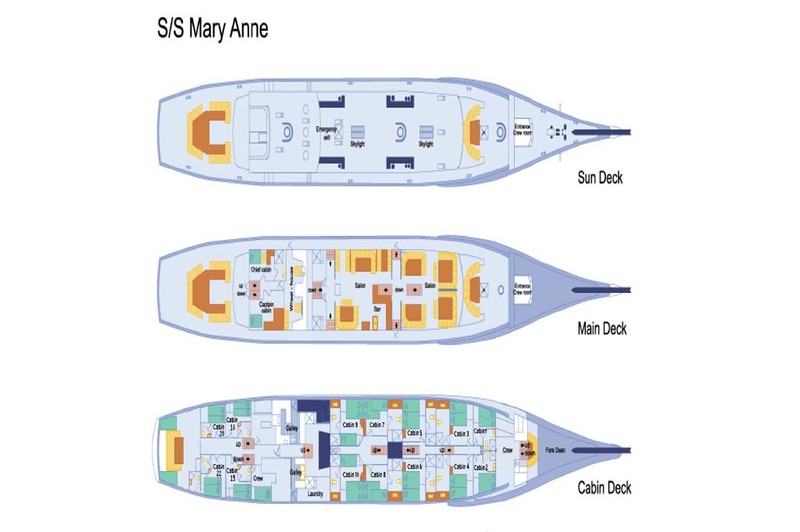 Mary Ann offers a cruise exploration for 8 days. 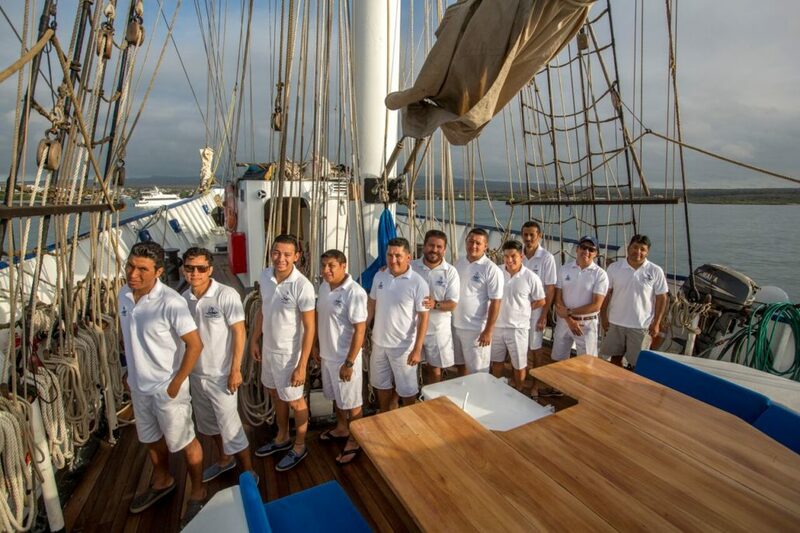 Please contact us if you require a tour in between the duration days displayed below.